﻿ What's the Most Dangerous State for Pedestrians? 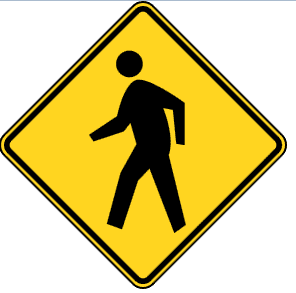 You might think that if you are on foot, you’re not likely to be involved in a car accident. 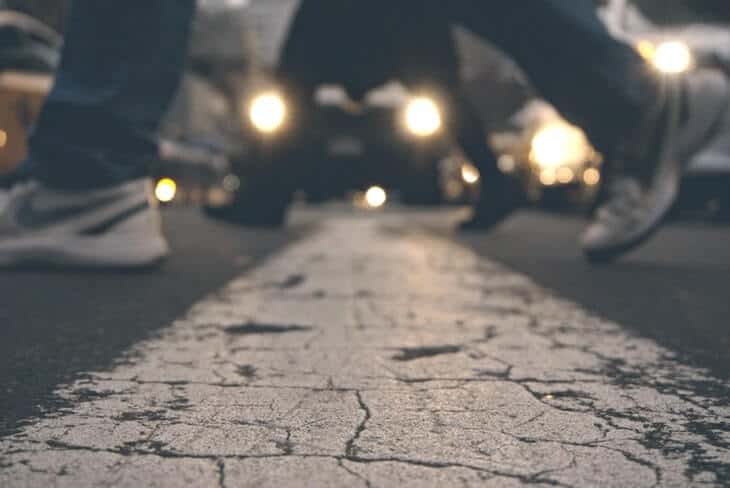 Unfortunately, a new report released recently is packed full of data showing that pedestrians are at a surprisingly high risk of being involved in a car accident. The report reveals the states in which pedestrians are the most likely to be hit by a car. How Many Pedestrians are involved in Car Accidents? The report to which we’re referring, published by Smart Growth America (SGA). It’s a lengthy report, so we’ll give you the short version. Before we get into results, here’s how Smart Growth America came up with the numbers. The report spans from 2003 to 2012 and surveys traffic safety in America. This study uses a number they call the PDI, or Pedestrian Danger Index, which is a measure of the total number of pedestrian commuters in the city, divided by the total number of car accidents involving pedestrians per 100,000 residents. This report argues that American roads aren’t made with the safety of pedestrians in mind. As a matter of fact, most roadways are very dangerous for pedestrians. In a country with such high car ownership, you may not see that as a problem, but study also points to 5 cities in which pedestrians are at severe risk due to a lack of necessary safety precautions. The study finds that over 47,000 pedestrians were killed in car accidents between 2003 and 2012, with 676,000 pedestrians injured. Which state do you think had the highest PDI in the U.S.? California? New York? Illinois? Florida. The state of Florida had the highest rate of pedestrian deaths from car accidents than any other state. Arizona, Louisiana, Georgia, and South Carolina were close behind, followed by Delaware (yeah, we couldn’t understand how Delaware pulled that off, but they did!). In a word: liability. A person struck by a vehicle is going to generate a massive amount of medical bills and most insurance adjusters will take that amount, add to it any lost wages, and then multiple it by up to five times to determine how much the person responsible for the accident will owe. It’s not uncommon to see numbers in the hundreds of thousands of dollars. This can be a real problem when the driver who’s responsible is underinsured or uninsured. Depending on your state, you could have to pay that damage yourself. In some cases, your own insurance would cover anything that isn’t covered by the person at fault. But what happens if your own insurance coverage isn’t enough? Odds are you’ll have to pay out of pocket. Looking at the inverse scenario, what happens if you accidentally hit a pedestrian with your car? Again, your insurance might cover some of the cost, but will it cover everything? There’s no shortage of stories of this sort of thing happening. The best way to be prepared is to have proper insurance coverage that meets or exceeds the total net worth of your assets. That is to say, the total cost of your home, investments, savings, checking, and the like. Many people are surprised to discover that they aren’t adequately covered by their insurance. We highly recommend reading our guide to liability coverage to get a better idea of how to be properly insured. Insurance coverage doesn’t have to cost a lot, either. In some cases you might be able to get a greater amount of coverage for less than the cost of state minimum coverage. Take a moment to get a quote and see how much you can save on auto insurance.